I believe so.....congrats to both. They both deserved success. One more news, seems something up with OGT production. Hey I saw something interesting. 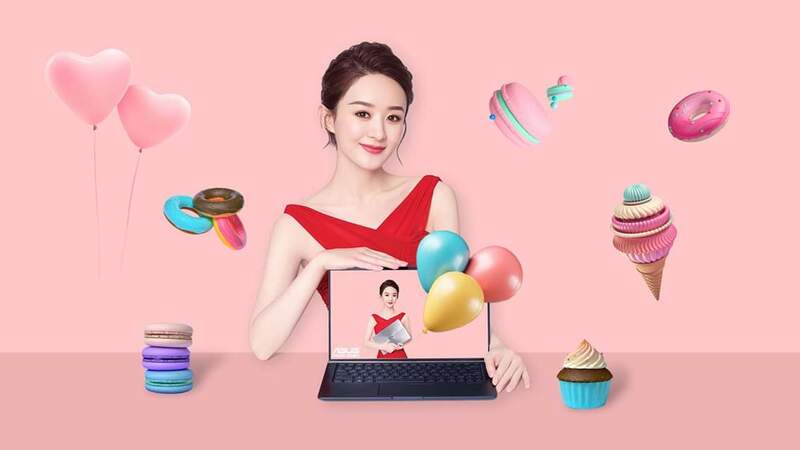 On barbaramilanoffical Instagram account there is a pic of Zhao Li Ying holding a bag. I don’t know when the picture was taken but something about the photo is interesting. Hint: around the clothes section. Yes agree its interesting. I wonder if Yingbao has a new endosement? Anyway I saw at this twitter below. She must hve read at barbaramilanofficial IG too. @Mical Weinstein @minoku2209 based off on her hairstyle, i assumed these were taken around the filming of OGT last yr, imo... unless she recently had a haircut again but i doubt it bcos she is still on her break , maybe these r just released now due to the success of OGT? Just found, sharing an old video. Misses Yingbao much. Now no news on her n its too quiet. There are still many PA viewers waiting for PA2 with same casts, doubt if this can be done, yet still crossing my fingers too. I would happy if zly can be paired with huang xuang. Their short film last year was superb. And I am one of them.by the way, My sister is Marathoning PA right now she's already in ep 58 and I told her that the ending is very very very nice lol. I was thinking the same a few days ago, i hope it will happen too. LOL..u r so cruel to ur sister ..i stop watching the ending, i can't take it anymore, i cried my eyes out the first time... and i doubt the same casts will be back for a season 2, if any. Just read "Story of Minglan" aring date on Dec 25 2018. I think it was rumoured on Dec 24th b4. Hope its correct now. Same here, I only watch the ending ONCE..never CB there already coz it will just break my heart . Thinking the same also..specially that she's already married..or maybe her hubby can be the new Yuen yue coz I cant imagine her doing a steamy scene with anorher guy...even if its only for work..
LOL..Nah, LGX is the only Yuwen Yue in my eyes, he was perfect for that role..and if he was so shy doing the kissing scene with Yingbao when she was single, there's no way he will do a steamy scene with her being a married woman , besides, i think LY will be more careful in picking certain roles to play now that she's married, maybe love story with just showing 'emotions' just like with LYF in The Legend of Chusen. December 25th at 20 o'clock in the evening! Christmas! Hunan Satellite TV alone broadcast! iQiyi, Tencent video, Youku all network broadcast! Know whether the flower has been online! This Minglan is so nice! Wait for the TV version official announcement! Ps YouTube drama broadcast, Hong Kong, China, Taiwan, Malaysia, Singapore broadcast simultaneously! Confirm broadcast on 25th Dec 2018.